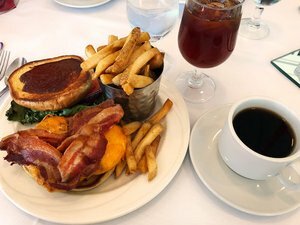 Dine at the Regatta Grille in Hampton, Virginia, our elegant on-site restaurant serving classic American entrees with a riverside twist. 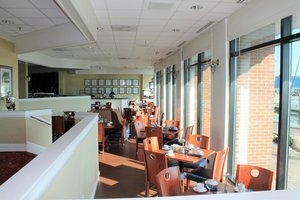 The Hampton Marina Hotel’s premier on-site restaurant, the Regatta Grille features warm natural light and waterfront views of the river. The restaurant’s nautical décor compliments the fresh seafood entrees that add a different splash of flavor to this classic steakhouse. The doors of our dining room are open to you. ﻿Begin each morning with an a-la-carte breakfast, just the way you like it. The menu offers healthy options for travelers on the go in addition to brunch favorites, such as Eggs Benedict and Belgian waffles. Enjoy a hot cup of coffee while gazing out across the Hampton River. Great mornings start here. Order breakfast up to your room or suite with our room service while you prepare for the day. For fine food in a sophisticated setting, our on-site restaurant serves as the ideal place for a quiet weeknight dinner and a romantic waterfront meal. Order gourmet sandwiches, fresh seafood, sizzling steaks, and weekday buffets with soul food and pastas. Paired with an extensive wine list, the Regatta Grille is the perfect establishment to enjoy a relaxing meal while reconnecting with old friends. The Regatta Grille is open for breakfast, lunch, and dinner every day. Add a little spice to your day at the Oyster Alley in Hampton, Virginia, the playful relative of the Regatta Grille. The dockside Oyster Alley has open-air seating alongside the river with several handsome boats moored. 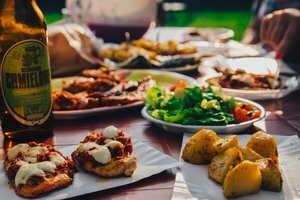 Not to be overlooked, delicious pub fare and a gorgeous setting combine for a wonderful dining experience at Oyster Alley. Oyster Alley will not be open during the 2019 season. 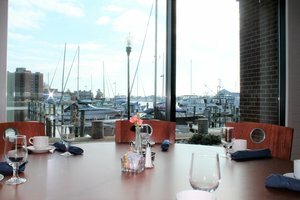 Dine at the Regatta Grille in Hampton, VA during your stay at the modern and nautical Hampton Marina Hotel!